ACE your TC PSTAR, Recreational Pilot, or Private Pilot Exam! Includes hundreds of questions similar to those on the actual Transport Canada exams with detailed, often illustrated explanations. 1000+ total Questions, representative of actual Transport Canada questions (current for 2019!) 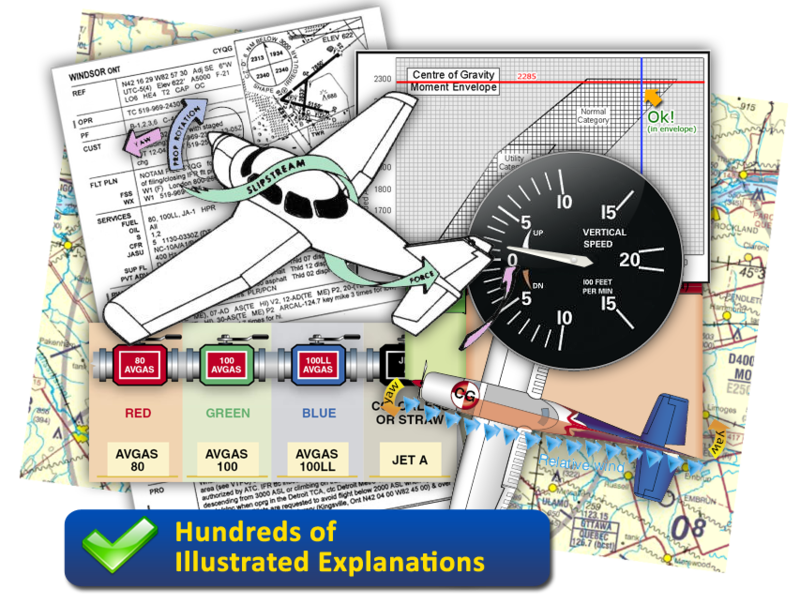 with full, detailed explanations of the answers written by an experienced team of flight instructors led by ATP Class 1 Instructor, Nikolas Chapman. By doing the questions, you learn the material in an ACTIVE way. Actual, complete PSTAR questions. Learn the PSTAR exam in under two hours! Some have even learned it in under ONE hour! 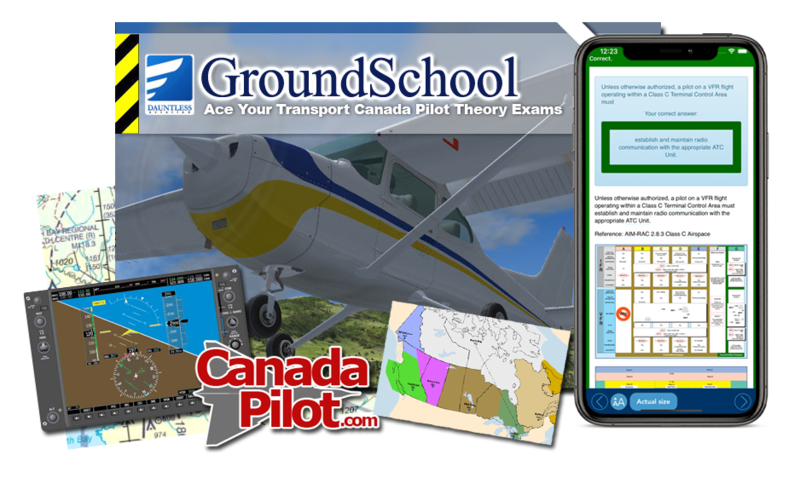 Hundreds upon hundreds of representative questions on all applicable topics for the Transport Canada Private pilot written examination (PPAER) for Aeroplanes and for the Transport Canada Recreational Pilot Permit written (RPPAE) for Aeroplanes. This software can be used for independent home study, and with your school's/FTU's consent and supervision, time spent completing this course can be transferred over to meet the minimum ground school hour requirements. This software is up-to-date with latest Canadian aviation regulations and for the new Graphic Area Forecast weather format. Unlike with books and/or other courses, updates to this software are always free!Remember: the more you learn on the ground now, the less you will pay and struggle in the air later. Nikolas Chapman is a Transport Canada certified, Class 1 flight instructor and Airline Transport licensed pilot. Nikolas has been employed as a Chief Flying Instructor and Chief Pilot for a flight training unit and a commercial airline. Currently, he resides in Victoria BC, where he works as a freelance commercial writer, specializing mainly in aviation related pursuits. Nikolas has authored many aviation training publications and policy manuals. Outside of flying, Nikolas can be found windsurfing in the chilly waters off the coast of Vancouver Island.